Plans have been resubmitted for large scale speculative development at Templeborough, after initial plans were refused by Rotherham Council. 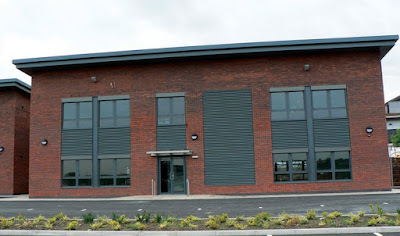 The first phase of works at the £31m Magna 34 Business Park were completed in 2008 where Sheffield-based joint venture partners, Loxley Land and Property and Jaguar Estates, predicted it would eventually create around 600 jobs for the region. The 19 acre park located off Junction 34 of the M1 is on the historic site of the former steelworks and before that, a Roman fort. 10,000 sq ft of office and industrial space is home to the likes of HS Atec, Grayson Fixings and Sortec Software Development. The massive 152,421 sq ft distribution unit, empty since completion in 2008 was taken by Parcelforce in 2014 and later bought by LondonMetric Property Plc in a £10.3m deal. Now a planning application has been resubmitted to enable new commercial units to come forward on remaining plots at the site. Having gained planning approval in 2007, the site benefits from further consent for 40,000 sq ft of industrial use and 10,000 sq ft of office use. The latest plans, drawn up by Self Architects for Jaguar Estates, are for three terraced business units and two single units. Totalling 38,000 sq ft, the plans have been submitted with no end user in mind. Instead, the units can be subdivided with use classes including B1 (c) - Light industrial, B2 - General industrial and B8 - Storage or distribution. The development plots at Magna 34 are allocated within the Sheffield Enterprise Zone, which offers business rates relief worth up to £275,000 to a business over a five-year period. 2016 plans for the site were refused by the planning board in February. The decision for refusal showed that planners were unhappy with the their design and siting facing Sheffield Road, stating that it would "represent a poor form of development that fails to take the opportunities available for improving the character and quality of the area." In 2004, Euro Dismantling Services and developer Jaguar Estates were appointed by Corus (now Tata Steel) as joint developers for the former Mayer Parry and Rolling Mills sites on Sheffield Road.